L’Atelier des Chercheurs is a design collective: we are three designers and reseachers working together since 2013. We create open source and modular tools that foster new ways of learning and working. To develop these tools, we work in close collaboration with our partners. So far, we have worked with elementary schools, fablabs and third spaces, universities, theatres, among others. Our approach is situated. We like to experience our partners' situations, with whom we enter iterative cycles of discussion, action and observation, immersed into their daily situations. We test working prototypes in the emerging situations we are creating with them. Both the tools and the activities in which they are used are co-designed, which allows for a sustainable transformation of the situations at stake. This approach is based on a creative and exploratory process that is enabled and sustained through mutual learning among partners. We believe this approach is the best way to transform practices and to avoid predjucing the needs and the solutions. A design process through versions. This situated approach allows us to refine our tools, thanks to the various experiences of our partners and the different situations we are working in. Then, we are able to develop multiple versions of the same tool, based on our observations and on the appropriation processes that we observed. Plus, our designs and softwares are open-source and released along with their online documentations on a regular basis – so don't hesitate to create your own version! Get in touch with us, we are always open to new collaborations ! We work with multiple partners throughout the world (mainly in France and USA), and we are open to work worldwide and to develop new partnerships. See the French version for more details on our current partners. We are happy to talk about our experiences. Our work has been presented at numerous occasions. 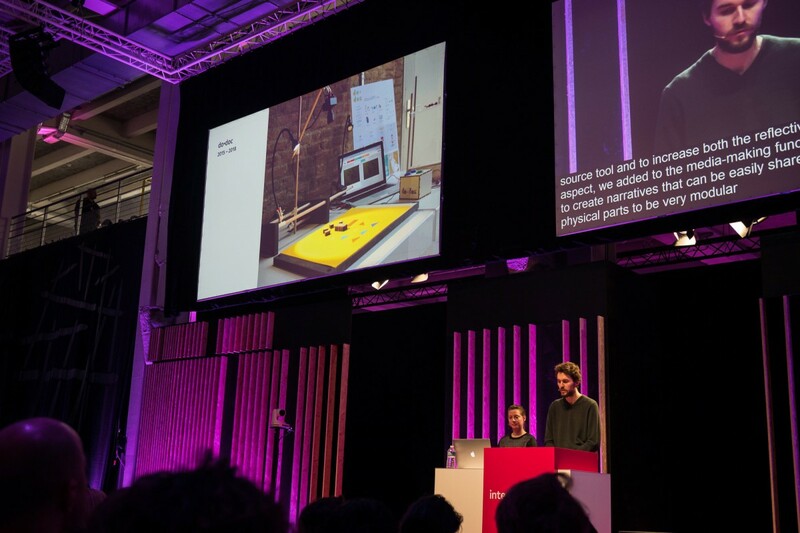 For example, you can watch our conference at the Interaction Design conference ixd18 (février 2018).